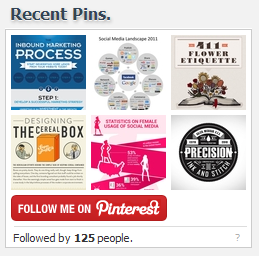 Pinterest Badge is a simple wordpress plugin that shows a badge for your pinterest account. It can show upto 9 latest images you pinned in your pinterest account, your follower count and the pinterest follow button to link your website or blog to your pinterst page. Running in more than 1000 websites.